A team of facial recognition experts from the University of New South Wales, Newcastle University and the University of York has published a Comment piece in the journal Royal Society Open Science challenging claims made by another research team. In their paper, they acknowledge that the findings of a team last year regarding the facial recognition abilities of sheep was compelling, but they take issue with the claim that the research showed that sheep have facial recognition abilities comparable to humans. Humans have very strong facial recognition skills conferring the ability to pick out the faces of friends in a crowd with no problem, for example. Thus, it came as quite a surprise when a team of researchers in 2017 claimed in a published paper that sheep have facial recognition skills that were comparable to humans. In their rebuttal, the authors suggest that the evidence reported by the researchers was insufficient to make such a claim and outline the reasons. The authors note that the sheep in the study learned to recognize just four faces—all celebrities. The sheep were shown different pictures of the celebrities over the course of three training sessions. Afterward, they were shown a picture of one of the celebrities and chose which of another set was the same person. The sheep were able to pick the right one on average 79 percent of the time when shown identical pictures of the celebrity, and 66 percent of the time when shown a different picture. The authors acknowledge the numbers showed that the sheep were recognizing the people in the images, not just the image. But they also point out that claiming such a finding proves skills comparable to humans is not logical. 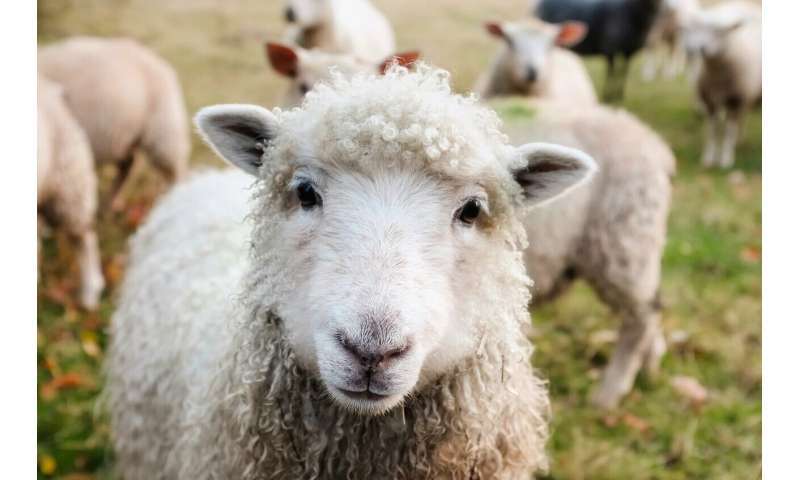 They note that similar experiments with humans involve the recall of many more faces—human subjects also get only one training session, whereas the sheep got three. Additionally, in human studies, volunteers are generally shown pictures sequentially and decide if they have seen a given face rather than pairs of pictures. They also note that in the study, the sheep recognized the faces of their handlers with far less accuracy than has been found in studies of the human ability to recognize familiar faces. They conclude by suggesting that before a claim of comparable abilities can be made, tests must be the same for both species. Sheep are getting tired of humans' shenanigans. They stop playing along. It was fun for a while, but what would be way funnier is those humans trying to identify individual sheep in the herd. Some have problems with the Chinese, let alone sheep. Sheep were tested on their recognition of humans - not their own species. I expect sheep have better abilities to recognize other sheep. We certainly are very poor at recognizing individual sheep. Note that Knolle et al. 's comparison of sheep abilities with humans' refers to this sentence in the abstract "Interestingly, there was a drop in performance with the tilted images (from 79.22 ± 7.5% to 66.5 ± 4.1%) of a magnitude similar to that seen when humans perform this task." rather stating that sheep can recognize humans as well as humans can. It is very important that we understand sheep's abilities to interact with us and how they perceive us and each other, so that we can provide the best facilities and efficient handling systems for them that will not provoke stress and will provide good welfare. So we need to understand them well and not mislead handlers into expecting more or less of them that they actually can do. Interesting how domestication seems to work the same in all mammals - recognition of individual humans becomes useful - but it is also is woolly understandable if researchers are sheepish about the claims.